Cont. 8 cm. 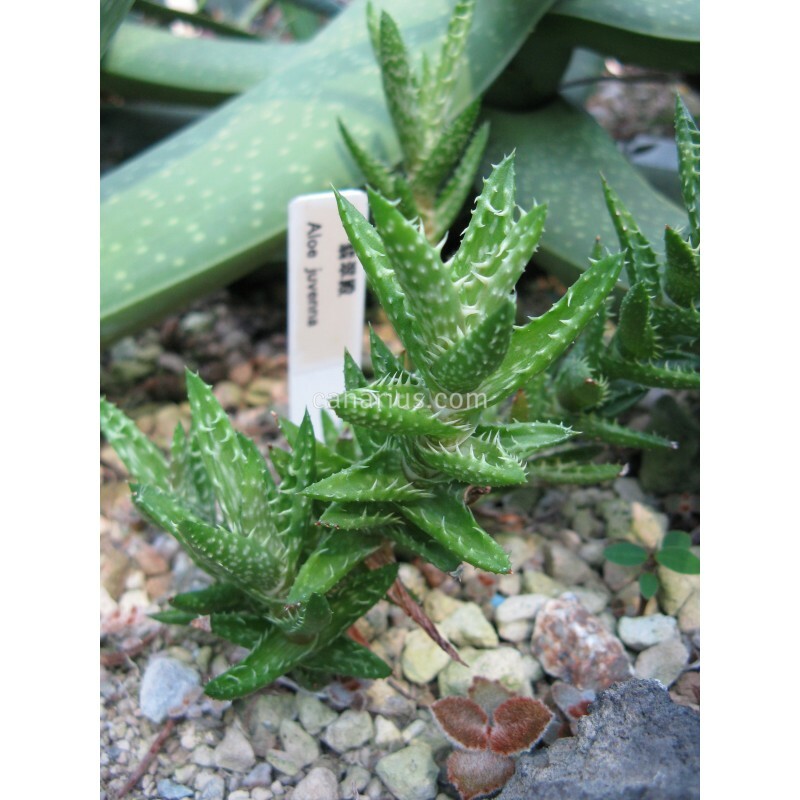 It is native to South Africa and its grows vertically and grouped.Its leaves from green spiral rosettes whith specks and small spines.